With school back in session and the days getting cooler, summer’s becoming a distant memory. The good news is that this also signals the beginning of baking season (for me, anyway). 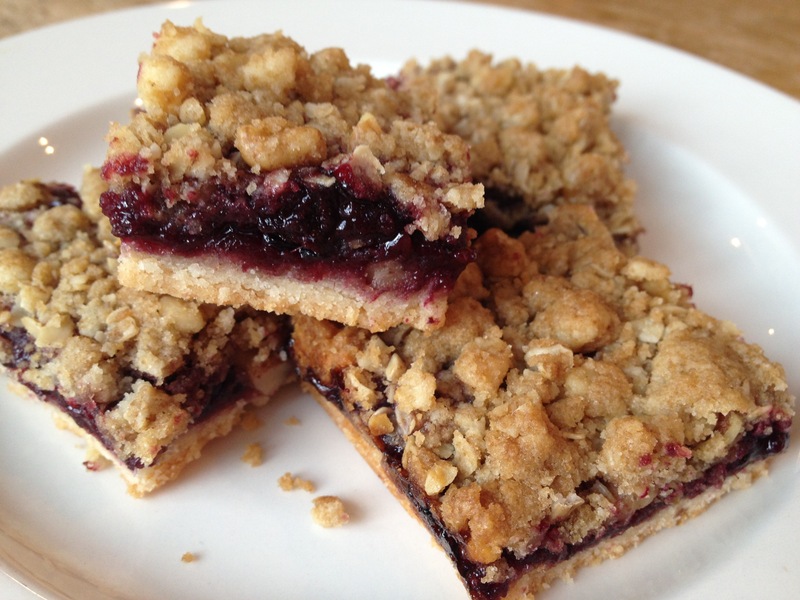 With the warm, tart taste of summer’s wild blackberries still lingering in our heads, I thought these blackberry/oatmeal/walnut crumble bars would make the perfect back-to-school treat. Summer sandwiched between layers of fall.